An ideal choice for your space, the Reversed Bevel White 3 in. x 6 in. Ceramic Wall Tile features a smooth, high sheen finish to help add style to your decor. This elegant white tile brings a classical elegance and complements any decor. With smooth edges and a beveled profile, this tile is easier to install. Suitable for commercial or residential walls, install this tile to incorporate a distinctive personal signature in a wide variety of designs and patterns. Structured Effects Crackle has an artistic, crackly finish and a subtly rippled surface that adds subtle dimension and texture to the pure white glossy finish. It offers the look of handmade tile with a sense of antique pottery or an aged painting. Enhance a basic subway tile pattern with stunning surface details to bring an artisan effect to your walls. This product is not frost resistant, use only in indoor applications. Structured Effects Handmade recreates the unique look of handcrafted tile with a rippled surface that adds subtle texture to the glossy white finish. These beautiful tiles are inspired by traditional brick and tile making techniques where artisans handmade each piece, one-by-one. It is durable enough for kitchen or bathroom walls and will create a distinctive look in your home. This product is not frost resistant, use only in indoor applications. Use the Jeffrey Court Concorde Dawn 3-inch x 6-inch White Ceramic Bevelled Wall Tile alone or combine it with complementary glass, stone or ceramic field tiles (sold separately) to create a stylish, personalized enhancement for your home decor. This white-coloured tile features a glazed, smooth surface and a uniform appearance in tone to create a handsome, contemporary look that nicely complements a variety of decorative schemes, and a semi-vitreous water absorption rating makes it tile a great choice for a wide variety of projects. Emulating the timeless beauty of Carrara marble, the Merola Tile Classico Carrara Glossy Inmetro 3-inch x 6-inch Ceramic Wall Tile captures stunning artistry dating back to Ancient Rome. Set on a glossy white glaze, this marbleized ceramic tile offers an everlasting look to accent your wall installation. Light grey veining striations sporadically flow throughout, adding authenticity to your installation. With a traditional subway format and inverted beveled surface, this tile is perfect for creating a sophisticated feel for any setting. There is variation in the veining patterns found throughout each tile. Pair this tile with other Classico Carrara products to complete your own elegant installation. Reversed Bevel White 3 in. x 6 in. 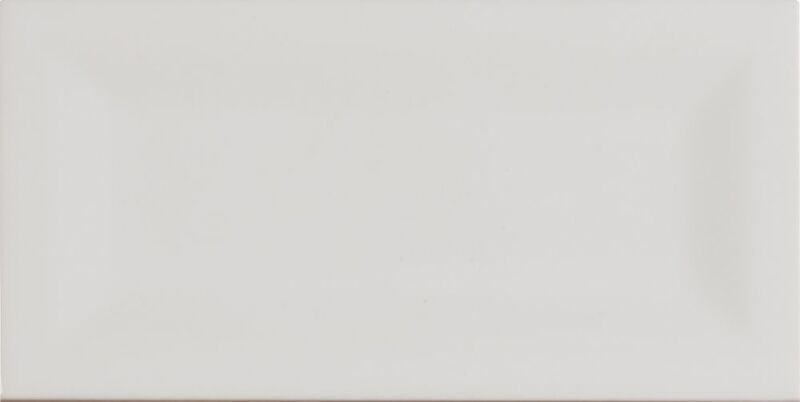 Glazed Ceramic Wall Tile An ideal choice for your space, the Reversed Bevel White 3 in. x 6 in. Ceramic Wall Tile features a smooth, high sheen finish to help add style to your decor. This elegant white tile brings a classical elegance and complements any decor. With smooth edges and a beveled profile, this tile is easier to install. Suitable for commercial or residential walls, install this tile to incorporate a distinctive personal signature in a wide variety of designs and patterns. Reversed Bevel White 3 in. x 6 in. Glazed Ceramic Wall Tile is rated 4.6 out of 5 by 5. Rated 3 out of 5 by Riannic from I haven't used them yet. But I don't get why other tile distributers had the same ones from MSI, ... I haven't used them yet. But I don't get why other tile distributers had the same ones from MSI, but there were 15 square feet, instead of 11, like yours. Rated 5 out of 5 by Pam from I love it! I have had many compliments on my... I love it! I have had many compliments on my new kitchen back splash. Rated 5 out of 5 by Sean from I love the fact this is a playful interpretation of a standard subway tile. It will look classic... I love the fact this is a playful interpretation of a standard subway tile. It will look classic and unique on the walls of our shower.